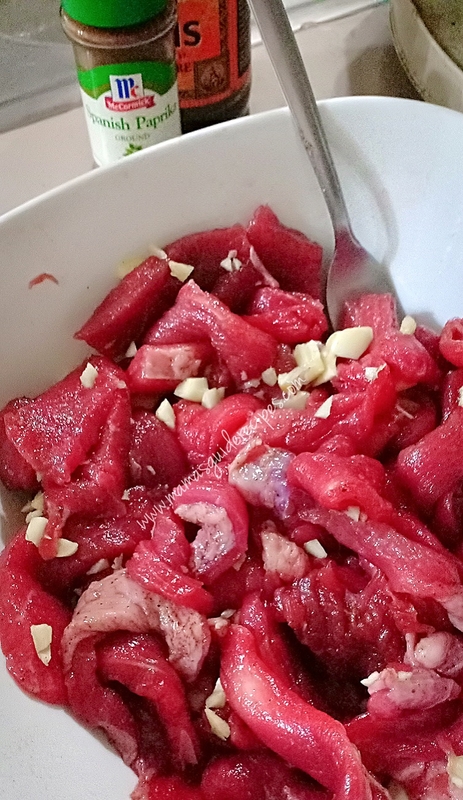 This beef salpicao recipe is so quick and easy to cook. Marinate the beef and start sauteeing in high heat. To achieve a super tender salpicao: boil the beef first until it becomes very tender (about 1hr 45min). Drain from water and marinade beef. Double cooking the beef makes it super easy to achieve a tender beef. Just sauté it quickly or sear it. Follow the regular recipe as usual. If you want to add mushrooms or carrots to add some flare, you may add chunks of button mushrooms or carrots too for a juicy effect on the toasted beef tips. Nevertheless, it is definitely tasty and yummy. Happy cooking! Marination Time: 30 minutes to 1 hour. Marinate beef in salt, pepper, garlic, paprika and olive oil for 30 minutes in a bowl. In a large pan, heat cooking oil over very high heat. 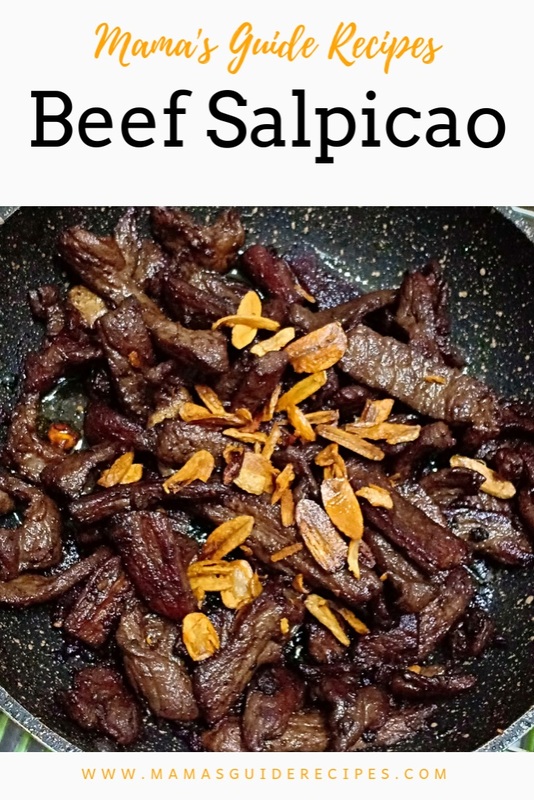 Toss in beef with marinade ingredients. Keep on tossing very swiftly in very high heat. Season with worcestershire sauce, soy sauce salt and pepper. Continue tossing until the sauce is well absorbed in the beef. Finish with butter and toss the beef as it melts.Turn of heat. Serve with lots of toasted garlic on top. Enjoy! In small wok, heat ½ cup of oil over very low heat and add the slices of garlic. Let it cook until golden brown. Do not put flame into high heat to prevent the garlic from burning. It will slowly cook over low heat and become golden brown for about 10 minutes or more.